ON THE SIXTH NIGHT, we think of the hundreds of thousands of Jews who escaped persecution and now live in Israel. The opportunity to make aliyah and begin a new life in Israel has always been in the prayers of Jews. The establishment of the State of Israel has made it possible for these prayers to be answered. Yarden Fanta-Vagenshtein made aliyah from Ethiopia at age 14 with her family of 11. Coming from a rural, third-world background, she went on to become the first woman of Ethiopian descent to earn her doctoral degree in Israel (at Tel Aviv University). Her doctoral thesis was on the cultural and cognitive challenges of Ethiopian olim in integrating into Israel. In 2001, she established a program at Tel Aviv University called “Thinking Science” to expose Ethiopian-Israeli teens to science and technology. She is now doing post-doctoral work at Harvard in the field of education. She plans to develop educational curricula to help those who are illiterate integrate into the education system. She believes in the importance of education for all, and is currently working on developing solutions to improve the education system in Israel. In this way, she is contributing greatly to Israeli society and the Jewish people. 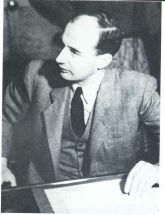 Raoul Wallenberg (1914-1947) was a Swede who worked in Budapest, Hungary, to rescue Jews from the Holocaust. He saved tens of thousands of Jews by issuing passports and housing them. He was posthumously honored in countries around the world, including with two nominations for the Nobel Peace Prize. He fought against the tremendous injustices of anti-Semitism perpetuated during the Holocaust, which resulted in the deaths of six million Jews. He believed firmly in the rights of Jews as individuals and the sanctity of human life. Throughout history, Jews have been persecuted politically, economically, religiously, and racially. Since the 1990s, a new form of anti-Semitism has been identified as an opposition to Zionism and Israel, the Jewish State.  Due to a recent amendment to the Jerusalem Program, the set of ideals and principles to which all Zionists agree, “the struggle against all manifestations of anti-Semitism” is now included amongst the basic tenets of Zionism. Have you ever experienced anti-Semitism in your life? What effect do you feel the persecution of Jews, either historically or continuing today, has had on your life and outlook? How would your life be different if you had to encounter anti-Semitism on a regular basis?